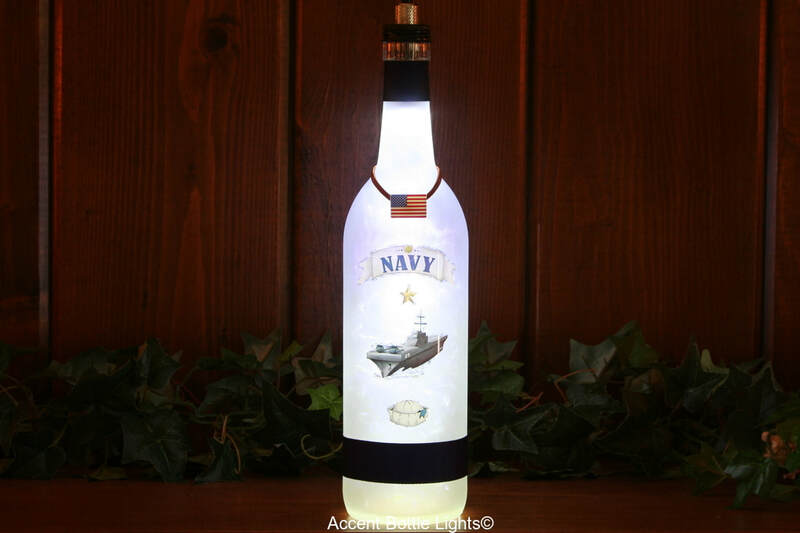 American Military lamps are special gifts for current or retired military members and Gold Star Families. They are a perfect gift for men and women who served our country. 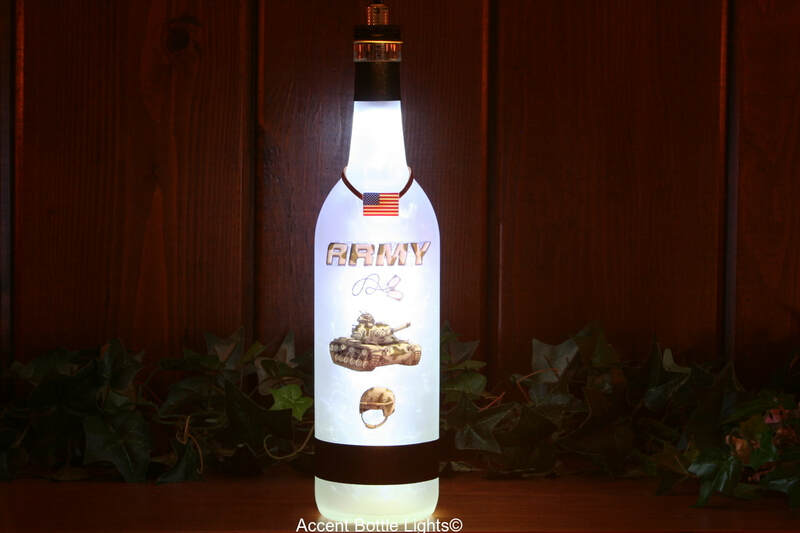 The armed service bottle lights for the U.S. Army, U.S. Navy, U.S. Air Force, and U.S. Marine Corps are in limited supply as the decals have been discontinued. Patriotic lamps for proud Americans and history buffs include USA Flag with eagle, Trump- Make America Great Again with official decal, and an NRA bottle light. 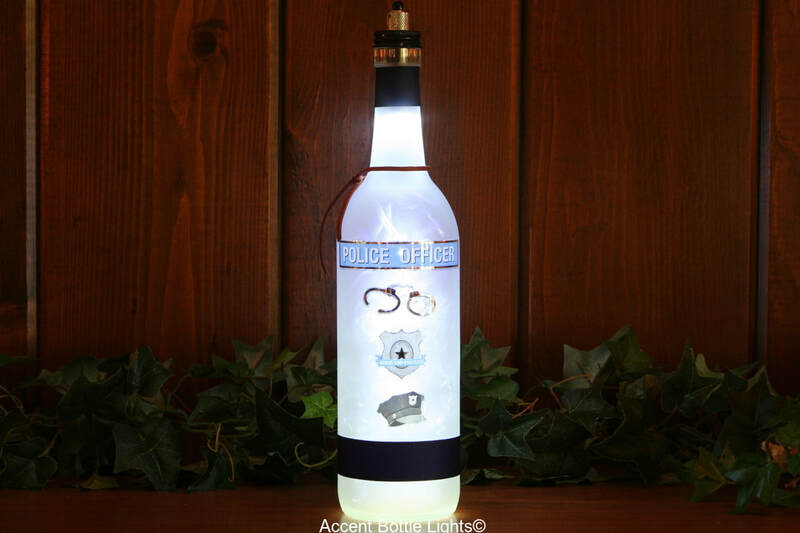 Firemen and policemen lamps are thoughtful gifts for firefighters and law enforcement. 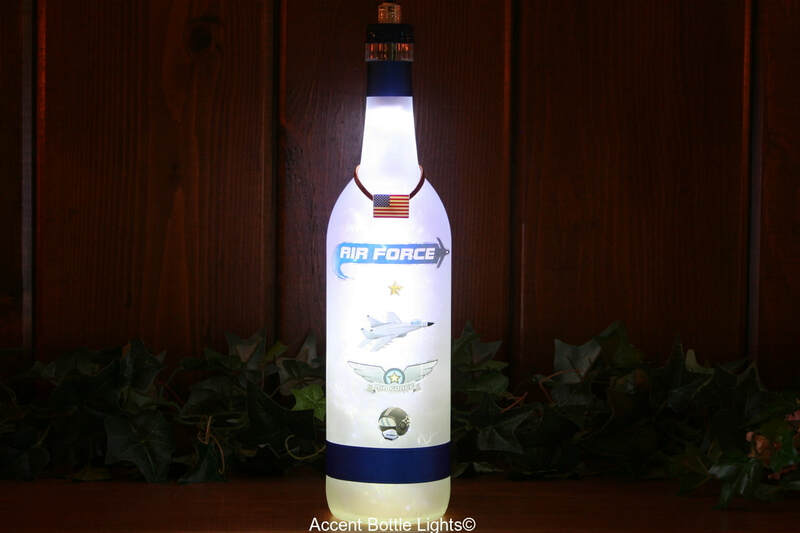 Frosted glass handmade sports team and interest themed wireless wine bottle lamps. © COPYRIGHT 2013- 2018. Accent Bottle Lights ALL RIGHTS RESERVED.